Peter Thiel is famous for a lot of things, co-founding PayPal, backing Hulk Hogan’s lawsuit against Gawker and being a billionaire venture capitalist, just to name a few. Accustomed to shaking up Silicon Valley with his investments and antics, these days Thiel stands to impart his wisdom on another region, Washington DC. That’s because last week he became part of the Executive Committee of President-Elect Trump’s transition team . After speaking at the 2016 Republican National Convention and donating $1.25 million towards Trump’s election efforts, his allegiance to the campaign should come as no surprise. His support is said to be genuine too, and that’s perhaps because the two have relied on similar rhetoric to make their points. Who said that quote? If you thought Donald Trump, you’re wrong, but you wouldn’t be blamed for thinking that given that so much of Trump’s mantra was focused on America “winning.” Competition is For Losers is the title of a 2014 Wall Street Journal essay penned by Thiel, that argued a perfectly competitive marketplace, an economic utopia, is flawed. “In business, equilibrium means stasis, and stasis means death,” he wrote. Entrepreneurs should instead strive for a monopoly, to win , he explained. Winning is certainly something Thiel has done a lot of, making him a role model of the Trump credo. Who said that quote? If you thought Donald Trump, you’re wrong, but you wouldn’t be blamed for thinking that given Trump’s hostility towards the media. Thiel said that in 2009 about Gawker reporters, and he bottled up that disdain and unleashed it in the form of financial support for Hulk Hogan against Gawker in a lawsuit years later, the force of which crippled Gawker and put the company into bankruptcy. It’s a revenge narrative that sounds oddly Trumpesque. While there are likely more contrasts between the two men than similarities like these, both share a special penchant for winning. And more to the point, in a Trump presidency, Thiel may have his ear. That should be welcome news to fintech and alternative lenders, given Thiel’s strong financial interest in that sector. Small business lender OnDeck has already experienced a 43% increase in its stock price since Trump was announced the winner. Enova, which bought merchant cash advance firm The Business Backer, is up 13%. That’s no doubt in part a result of Trump’s campaign promises to put a moratorium on financial regulations and recent pledge to dismantle the Dodd-Frank Act . 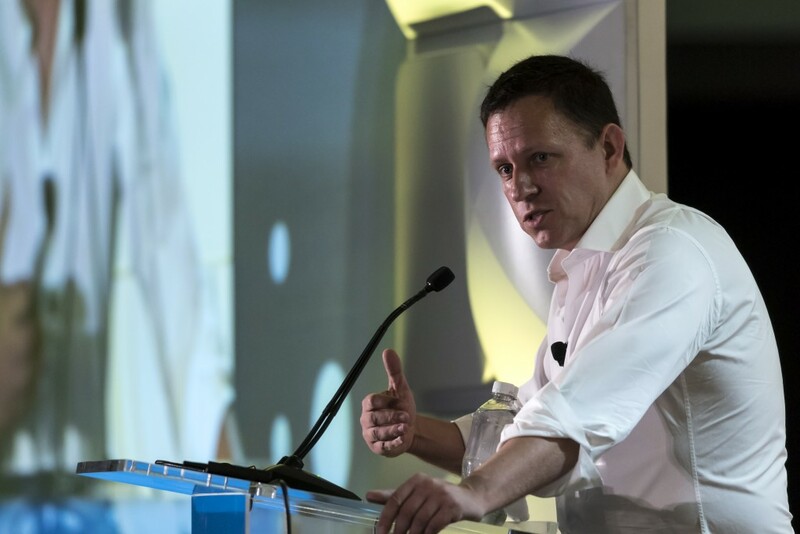 But with Thiel, his ties to alternative lending and fintech were made evident when he gave the keynote speech at LendIt earlier this year in San Francisco, in which he colorfully reiterated his theory about competition being a losing endeavor. “If you want to compete like crazy, you should just leave the conference and try to open a restaurant in San Francisco,” he said. Thiel participated in SoFi’s $80 Million Series C round and Avant’s $225 million Series D round. “There are a lot of banks in the United States, but not enough access to credit,” he said in an announcement for the latter at the time. He also participated in ZestFinance’s Series C round and both OnDeck’s D and E rounds. And more recently, his VC fund, Founder’s Fund, led the $100 million Series D round of Affirm . The fund has also invested in Able Lending, BitPay and Upstart. The NY Times reported that Thiel will not be moving to Washington and may not have a formal role in the administration, but that he will have a voice. If truly given the opportunity to do so, Thiel’s influence could be a boon to fintech and the larger economy as a whole. At the Money2020 conference last month, Trump was largely and quite openly derided by industry leaders. They may soon be changing their tune.